Here we go! Week two of this new "segment" of my blog. If you missed last week, this was what I was warming! I detailed my warmers, and the scents I was using. This week I will focus only on the scents because I only have two warmers, and it wouldn't make sense to constantly talk about them. 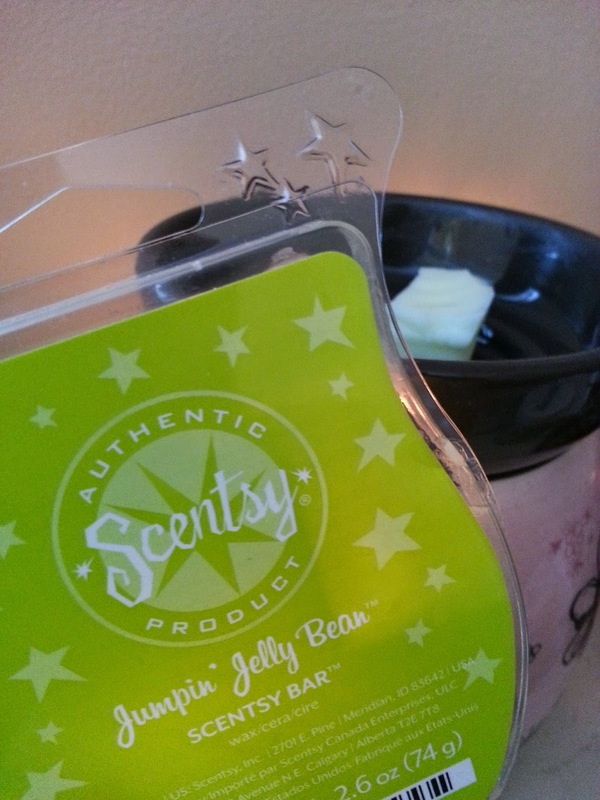 I really felt like warming something light and fruity, so today I picked Jumpin' Jelly Bean! The notes in this one can be described as pear, lemon-lime, apple, and sugar. It isn't overly sweet, and has a nice fresh, crisp scent. I really enjoy this one. It's currently not available for Fall & Winter, BUT it will be returning for the Spring & Summer catalogue, which BEGINS March 1st! I will add the link once it becomes available! I tend to choose the more "romantic" scents for the washroom. This may be because I find them to be floral - even if they're not described as that. And to me, floral scents just belong in washrooms. Anyway, the scent I chose this week (for the washroom) is Forever Yours. The note I pick up the most is jasmine, but it isn't over powering. This scent is very creamy (if that makes sense) and has a light hint of sweet lemon. 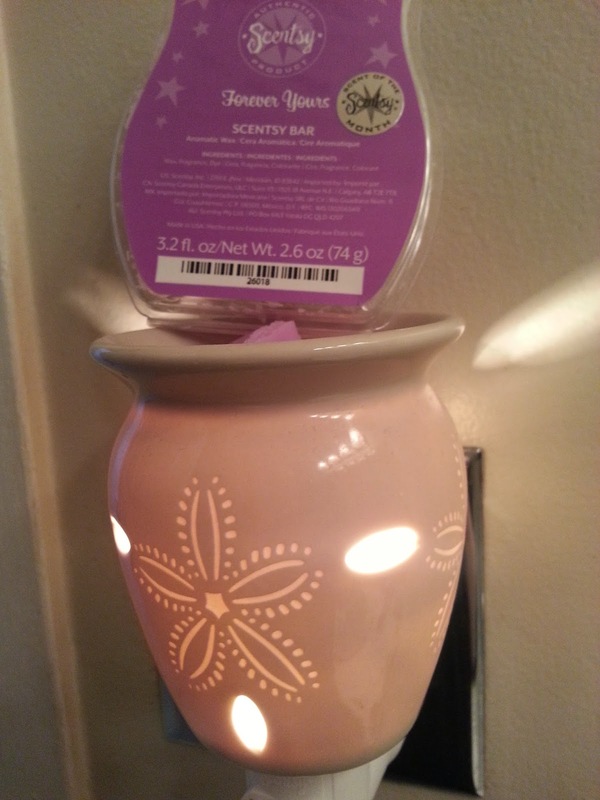 This was a past scent of the month which was released for a limited time, but it's made it's way into the permanent Scentsy line up, and can be found in the Romantic scent category. Available in wax bar, room spray and scent circle. 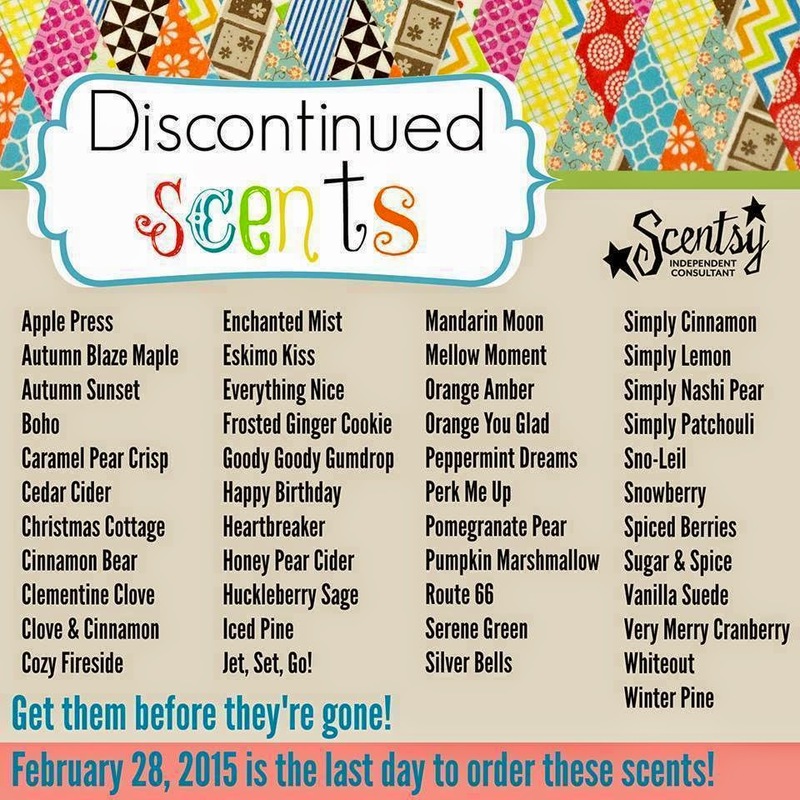 These scents are gone after February 28th! Until February 28th, Scentsy is having a 10% off sale on almost everything - this includes their waxes, warmers, laundry and body care. All of the Fall and Winter scents will be discontinued and no longer available to order after then. Also, the lip gloss, bath tablets (fizzies) and hand sanitizer will all be discontinued as well. If you're interested in ordering (or sharing) anything please visit my site below. All orders can be placed online from anywhere in Canada, Mexico, or the US! Thank you!